Last weekend was the autumnal equinox which means bye, bye summer, welcome autumn, fall, bright colored leaves, pumpkins and… snow? 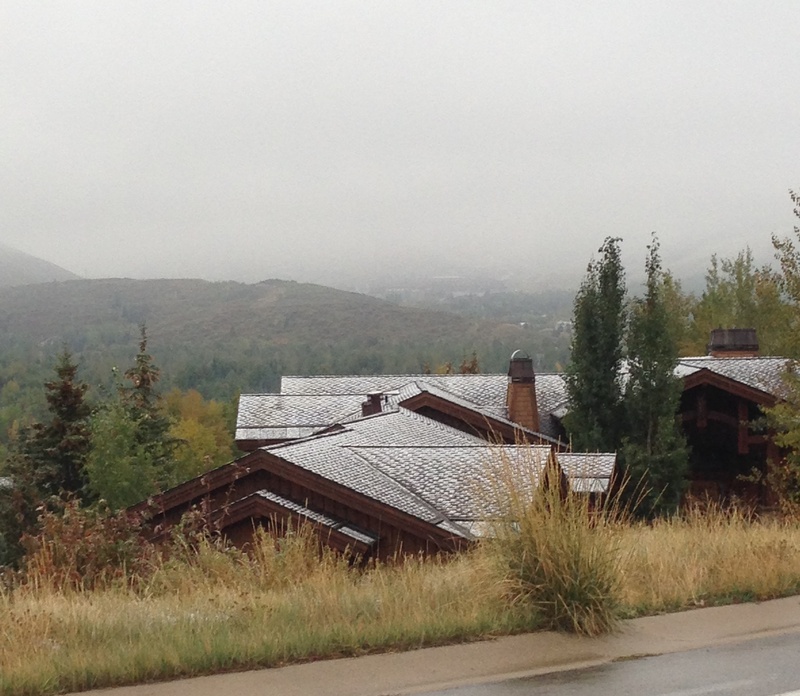 Yup that’s right it was snowing in the mountains today! Big fluffy flakes, which we are all hoping means its going to be a great ski year. I am still trying to hold on to a few last pieces of summer and nothing says summer like ice cream. Unfortunately, I have a slight intolerance to classic ice cream, which is a HUGE bummer, because its so unbelievably delicious. 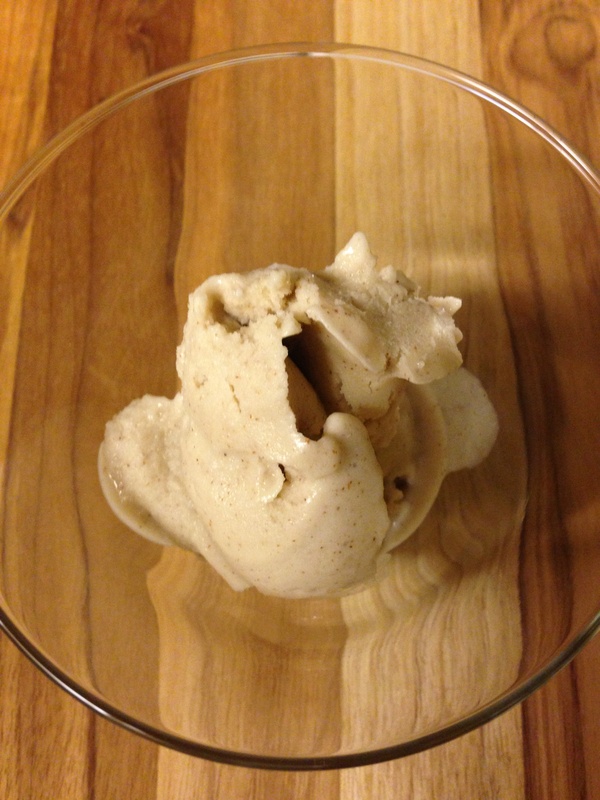 Then I found out you can make “ice cream” from frozen bananas and my whole life changed. I wish that I was brilliant enough to come up with this idea because it actually is brilliant. It’s creamy, thick, and tastes like real ice cream, you’d never know it was just frozen whipped bananas. Yup that’s it- ONE ingredient. Which means its vegan, dairy free, sugar free, low calorie but it tastes like the full fat, total guilty pleasure stuff… I promise! This recipe falls into my favorite category of should I eat it for “breakfast or dessert?” It’s so healthy you could eat if for breakfast sprinkled with your favorite granola or put a scoop on pie, peach crumble or chocolate cake for an unbelievable topping. Add your favorite ingredients to make it your own: peanut butter, chocolate chips, Nutella, maple syrup, almond butter, even a few strawberries and you’ve got a totally different treat! All those ripe bananas you’ve been saving for banana bread but haven’t gotten around to it- this recipe requires less time, effort and is more delicious! Enjoy! 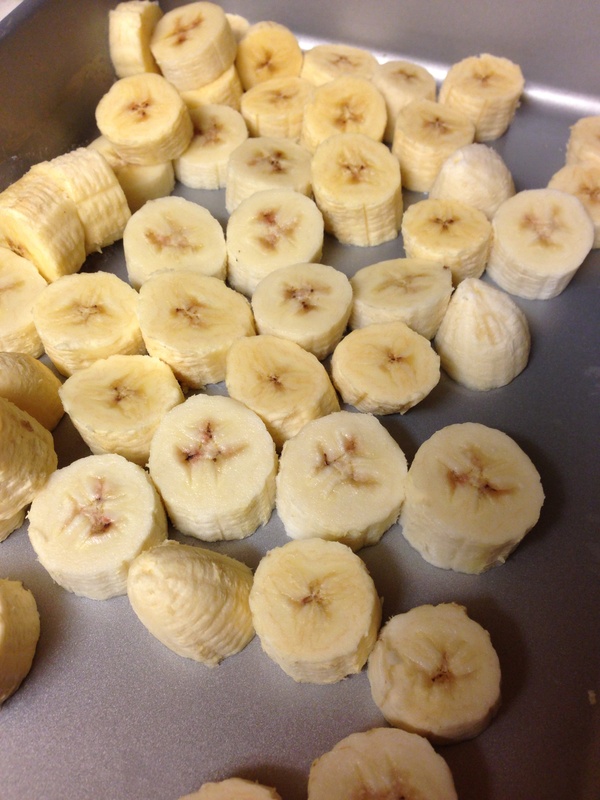 Slice bananas (like you would for cereal- pictured above) and freeze for a minimum of 3 hours or overnight, on a flat cookie sheet, baking dish or Tupperware. Place bananas in a food processor with desired ingredients (peanut butter, syrup, strawberries etc). I did peanut butter chocolate chip! Add bananas and 3-4 Tablespoons peanut butter (depending on how much you love peanut butter add more or less) and pulse until fully combined, use a spoon or spatula to break up large chunks of frozen banana. Scoop into bowls and top with chocolate sauce, sprinkles, pretzels or your favorite ice cream sunday toppings or put a scoop on pie, cake or another delicious dessert and enjoy! If your bananas don’t seem to be mixing as easily as you’d like, add 2-3 tablespoons of almond milk or soy milk which will speed up the mixing process. Looking for more ideas to mix with your banana ice cream? Dark chocolate chunks and sea salt, strawberry banana, peanut butter and honey, Nutella banana, 2 teaspoons mint extract and dark chocolate chunks… mint chip! the options are endless… get creative! 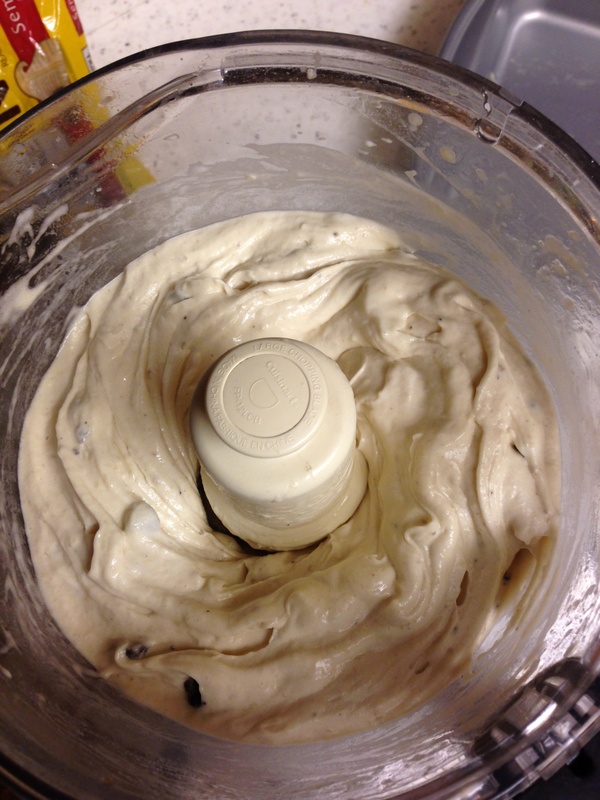 This entry was posted in Breakfast, Desserts, Recipes, Sweets and tagged banana ice cream, easy ice cream, frozen bananas, vegan ice cream by skibootsinthekitchen. Bookmark the permalink.